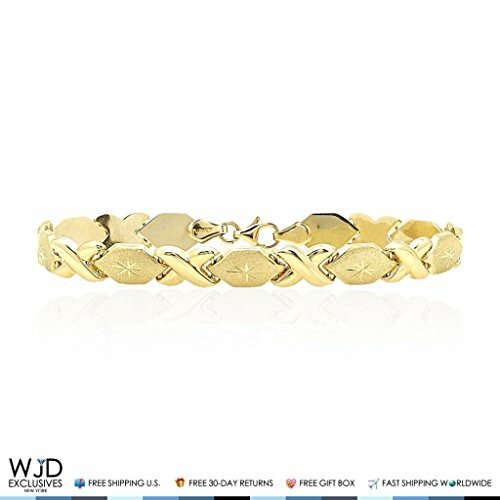 14k Yellow Gold Diamond Cut Hugs & Kisses XO Hollow Link 7mm Love Bracelet 7"
This beautiful 14k yellow gold hollow XO hugs and kisses link bracelet measures 7 inches long and 7mm wide. The bracelet weighs approximately 5.5 grams, it securely locks with a lobster clasp closure. If you have any questions about this product by WJD Exclusives, contact us by completing and submitting the form below. If you are looking for a specif part number, please include it with your message.